Patricia Nolan-Brown has been inventing and marketing problem-solving products for more than 22 years. 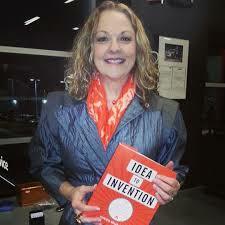 She is the author of Idea to Invention: What You Need to Know to Cash in Your Inspiration (AMACOM, January 2014.) She also teaches an online self-paced class consisting of 20+ short how-to videos via Skill Share. Among her many inventions is a best-selling car seat mirror, sold internationally, which enables drivers to see infants placed in rear-facing car seats. She has sold tens of millions of products and holds multiple patents and registered trademarks. In addition to being a serial inventor, Nolan-Brown is also a consultant, video-blogger, and motivational speaker for widely diverse groups: from Fortune 500 CEOs to grade-school science-fair hopefuls. She has demystified the invention process for thousands of people and helped them convert their ideas into must-have merchandise. Her business savvy and warm, humorous style have made Patricia a popular guest on radio shows from Austin to New Zealand, She and her inventions have also been featured in many newspapers and in national magazines and newscasts. Patricia lives just north of Boston with her husband, three daughters, and her westie, Coconut. Morris: Before discussing Idea to Invention, a few general questions. First, who has had the greatest influence on your personal growth? How so? Nolan-Brown: My parents always encouraged me and made me feel that anything is possible, but I feel that everyone I have ever met and will meet is on purpose. To teach me a lesson. Nolan-Brown: I have always been drawn to highly creative people. The “oddballs” meaning at the time they were described as different or weird or nuts. They were often made fun of – but I saw genius. People that come to mind right away are Mr. Rogers, the creators of Gumby and Pokey, Julia Child, and Pee-wee Herman. All considered misfits by many, but not by me. Nolan-Brown: Yes, when my first daughter was an infant and I placed her in the car seat. (Federal law requires a baby to face backward in a car seat.) I encountered a big problem: I could not see her at all in my rearview mirror while I was driving. I worried when she was quiet and I worried when she sounded distressed. I searched in stores for a solution but found nothing I could use. It was so uncomfortable that I vented to my mom that there should be a special mirror for this. She said “Why don’t you invent one?…and I did. I saw what I needed in my mind’s eye and reverse engineered it. It was so fun to figure it out. All of my inventions have been solutions to problems I encountered in my everyday life. I have built businesses around my five patents and several trademarks. Nolan-Brown: I think because I was an art major in college it was a great asset in developing products. I have never taken a business course, nor been interested to. The creative skills I have are as important — if not more important — than any math or science in my experience. I think creative people can figure out the business end of things. I’m not sure every business person is all that creative, or sees creativity as a valuable skill. Nolan-Brown: I had no idea then that it would become much more equal. By that I mean that I have had far more opportunities than my mom had while raising a family. She feared that girls would not have more and better options than she had. Frankly, I have never let it be an issue. Nolan-Brown: Wow, I remember Flash of Genius. It was riveting. I really felt the main character’s pain, having a giant company steal his idea. (Detroit automakers, intermittent windshield wipers) Ironically I remember my mom telling my dad that windshield wipers should come on and off by themselves according to the rain and snowfall. That movie could have been about her. Yikes! Nolan-Brown: Recently, I applied what I had learned while perusing a book about origami. It became a great resource for my latest invention: I designed and folded a dog waste bag collar into its most compact and functional form. I also like books that teach you how to do things yourself rather than hiring someone. I have one that I’ve used for years about how to write your own press releases. Nolan-Brown: I have had one idea stolen. I did not protect it properly prior to showing it . One must protect ideas correctly. That being said, in most cases nobody wants your idea until it has a proven track record and is selling very well—then the competition comes out of the woodwork. Nolan-Brown: Surprising, non-obvious discoveries are beautiful…I have them all the time and they keep the discovery process going, and sometimes expedite it. Don’t get me wrong. I always appreciate an eventual Eureka! moment. What’s “odd” often stimulates our curiosity and takes it in a different, unexpected direction. Nolan-Brown: That is almost always the result of a bad decision. When it occurs, re-assess the original assumptions and premises. Mistakes can create invaluable learning opportunities. They sure have for me. Nolan-Brown: Crowdsource on every level. Get everyone’s input, as portrayed on the TV show Undercover Boss – the boss is amazed almost every time by what is really going in the organization. There is a lot to be said in favor of leading and managing by walking around. Nolan-Brown: As I suggested earlier, mistakes can be extremely valuable if viewed as opportunities to learn and then take appropriate action. Efforts are “failures” only if you learn nothing from them. Nolan-Brown: They fear they will become obsolete or they think nobody can do it as well as they can. Nolan-Brown: Storytelling is key. Stories make you relatable — which makes people like you — which in turn makes them lifetime customers. The most successful people on social media and in sales are great authentic storytellers offering trust and value. People are buying people. They want to know the human behind the product/service. Nolan-Brown: Jump in head first. Stop being comfortable and afraid to fail. This is the only way to make discoveries and achieve change. Nolan-Brown: Attracting and then retraining the talent their company needs. It’s going to be a freelance environment with a lot of moving around if people are not happy. My advice: keep them happy and involved; encourage their creativity. Also have a workplace environment that includes certain amenities and activities such as ping pong tables, dartboards, good coffee, nap modules, walking meetings, and events that include family members. These are proven elements of a workplace that encourages and enhances creativity as well as employee loyalty. Morris: Now please shift your attention to Idea to Invention. When and why did you decide to write it? Nolan-Brown: I’ve had many, many people ask me how to turn their ideas into products. I’ve also met inventors who have written checks to companies and people that promised things that never came true. I wrote this book to teach regular people how to invent without going broke or getting taken advantage of. I felt a book could reach the masses. Nolan-Brown: It is just how I pictured it. That’s how I invent: I visualize it, then I reverse engineer it. Morris: You include a “Success Quiz” in Chapter 2, one that introduces an acronym, I.N.V.E.N.T. In your opinion, how realistic are most people when rating themselves in terms of the six attributes? Please explain. Nolan-Brown: They seem very realistic in rating themselves. They have told me they find this quiz very helpful and eye opening. They want to beef up where needed. Morris: What is a “curiosity garden”? What are the defining characteristics of having a “green thumb” that, presumably, such a garden requires? Nolan-Brown: I picture such a garden in your creative mind that you tend in order to stay curious about the world. Planting things that interest you. These new interests keep your creative juices flowing. This garden is a cornucopia of new and exciting prospects that open up your world to new things and perhaps a new idea will spring forth. Morris: You suggest and discuss “six simple steps to invention” in Chapters 9-16. Which of them seems to be most difficult to complete? Why? Nolan-Brown: Step 5 — Make It — because the variables are different for every product, but I hold your hand and show you which approach will work best for you and your idea. Morris: In your opinion, what are the most important do’s and don’ts to keep in mind when building the right online platform? Nolan-Brown: Don’t hard sell and don’t worry about the number of followers. Build a following one evangelist at a time. Morris: When becoming actively involved in social media? Nolan-Brown: Take your time. You don’t have to get onto every channel at once. In fact, eventually, you may benefit from geting involved in only two or three. Morris: As I indicate in my review of the book for various Amazon websites, there are dozens of passages throughout your narrative that caught my eye. For those who have not as yet read the book, please suggest what you view as the most important point or key take-away in each of several passages. Nolan-Brown: Digest it before a knee-jerk reaction. If it’s useful, be glad. If not, throw it out the window. Your gut instinct is your most valuable guide. Nolan-Brown: If you feel healthy, you will work healthy. Practice these simple yet proven techniques. Nolan-Brown: Schedule it in everyday, you are its caretaker no excuses. Nolan-Brown: Learn to turn a disadvantage into an advantage. Take a break and look at things from a different angle. Morris: With regard to the Six Simple Steps to Invention (63-67), which seems to be most difficult to complete? Why? Nolan-Brown: See above re: Step 5: Make It. Finding a licensee can take a long time and there is a lot of rejection. But it only takes one “yes.” Don’t quit too soon. Nolan-Brown: See things through “inventor eyes” rather than consumer eyes. What do you need in your everyday life? Solve a problem, fill a need. Morris: With regard to Cook It: Step Two (83-89), what are the most important do’s and don’ts to keep in mind when attempting it? Nolan-Brown: Do your preliminary research before moving forward. This research is invaluable. Don’t skip it. Nolan-Brown: You must have a good rapport with each other. (Patent attorney) They must listen to you and hear what you are trying to patent/protect. Interview them, they work for you. Do not be intimidated. Not one of my hired professionals has been 100% correct. In fact, I was advised not to go forward for my first patent, based on statistics. Good thing I made the decision to apply regardless because I got that one… and two more. Listen to professionals, of course, but they are not God and nobody has a crystal ball. Nolan-Brown: Practice makes perfect and for the most part, people are very nice on the phone these days. Morris: With regard to other opportunities to make a pitch (149-153), which seems to offer the most upside potential? please explain. Nolan-Brown: I still see value in the big industry tradeshows. I think the important buyers and licensees are there looking around. Also, once your idea/product is protected you can shoot a DIY demo video and distribute online too, your own free commercial! Morris: With regard to a licensing agreement (159-164), what are the most important do’s and don’ts to keep in mind when determining whether or not one is appropriate? Nolan-Brown: You must have one if you are licensing your idea, without question. There are many important considerations, not just the royalty rate. Morris: Of all the great innovators throughout history, which one would you most want to share an evening of conversation if it were possible? Why? Nolan-Brown: Albert Einstein, I am currently reading about him. Nicola Tesla, to get the scoop on Edison. Marie Curie. I have always been interested in her techniques and experiments. Leonardo da Vinci for his artistic masterpieces. So difficult to pick just one. I think it would be have to be Leonardo. o It’s cool to be smart. o Create art and woodworking and sewing projects. There is no such thing as a boy activity or girl activity; these are human activities. o Learn how to entertain yourselves. No one’s time needs to be tightly scheduled every day. o Put video games away and buy some crayons and coloring books. Color for hours. Your mind will be free to think without thinking. o Do what you love to do. o Try new activities and sports. o Your career later in life should be your choice, not your parents’. o Teachers are great listeners, respectfully ask to do something in a different way than assigned. Nolan-Brown: Take them to science and children’s museums and give them finger paints, clay, coloring books, LEGO, Play-Doh, and duct tape instead of iPods and Barbie dolls. Morris: With all due respect to how difficult it is to complete the process from idea to invention, I think it is even far more difficult to “cash in” on it. In your opinion, what is the single greatest barrier to overcome? Please explain. Nolan-Brown: Here’s the short answer. The long one is in my book. Rejections. Be realistic: There will probably be one rejection after another. But remember: It only takes one yes from one person or source to obtain the help you need. Meanwhile, focus on basics. Learn what you need to know. Keep moving forward. Do some market research among the people you know who might be prospective buyers. Let some of them test it if it’s a product or a service you offer. All of these steps may sweeten a licensing deal because you will have proven sales and you know costs, etc. To repeat, keep moving forward. Morris: Long ago, Thomas Edison observed, “Vision without execution is hallucination.” Your response? Morris: For more than 25 years, it has been my great pleasure as well as privilege to work closely with the owner/CEOs of hundreds of small companies, those with $20-million or less in annual sales. In your opinion, of all the material you provide in Idea to Invention, which do you think will be of greatest value to leaders in small companies? Please explain. Nolan-Brown: Chapters 17 and 18…keep it human. We are humans first. Here’s a link to Idea to Invention. Here’s a link to class she teaches via Skill Share.